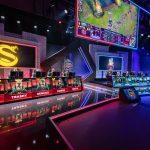 Unicorns of Love had little trouble on Sunday in their match against Misfits in the EU LCS Spring Split Playoffs Semifinal match. A late surge by Misfits caused a little worry for UOL, but they managed to assert dominance once again in the final game to secure a win. 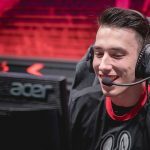 UOL midlaner Fabian “Exileh” Schubert was particularly deadly, getting two key triple kills in two games. It was a great start for Unicorns of Love, as Tamás “Vizicsacsi” Kiss soloed Barney “Alphari” Morris to pick up the first blood. UOL jungler Andrei “Xerxe” Dragomir piled on the pressure by stealing the Baron on 27 minutes. 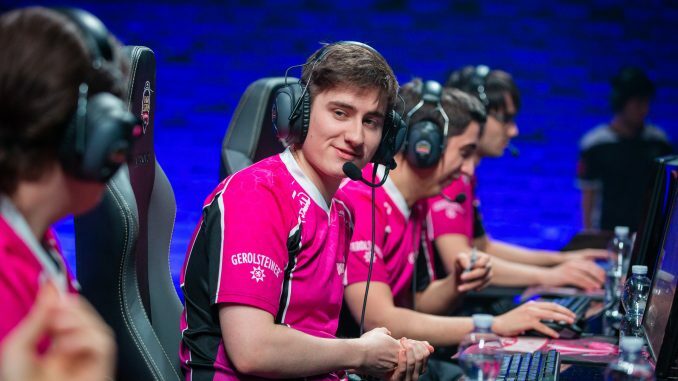 A triple kill at the hands of Exileh would seal the Game One win for Unicorns of Love in under an hour. 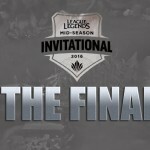 A battle of the midlaners in the jungle at the start of Game Two, as first blood went to Exileh but Misfits’ midlane presence Tristan “PowerOfEvil” Schrage answered back with his Orianna for a swift double kill. UOL still maintained a gold lead despite the setback, and after a bit of a struggle midgame, another triple kill by Exileh results in a 13-7 win for UOL after 41 minutes. To start game three, Xerxe put his team in the lead with an early gank, but Misfits took over the lead by picking up a couple of solo kills. 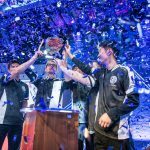 Misfits then took control of the game, and by 27 minutes, the team had built a 6k gold lead with Alphari in top lane. 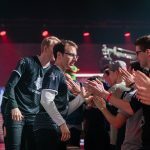 Misfits looked confident in Game Three, sniffing at a whiff of a comeback. In the end, UOL managed to get a late Baron, but it just wasn’t enough: Misfits kept the series alive with the Game Three win, thanks in large part to the efforts of Alphari, who finished with a 7/4/6 KDA. Game Four begins, and a skirmish in bot lane leads to a first blood for UOL bySamuel “Samux” Fernández. The resulting team fight turned into a bit of a bloodbath, with the kills at 5-3 after 14 minutes. From there, the game just got away from Misfits. Exileh looked unstoppable, going 8/1/6 as UOL cemented their semifinal victory. 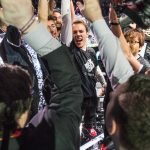 Unicorns of Love will face G2 Esports on Sunday, April 23rd in the EU LCS Playoffs Grand Final in Hamburg.